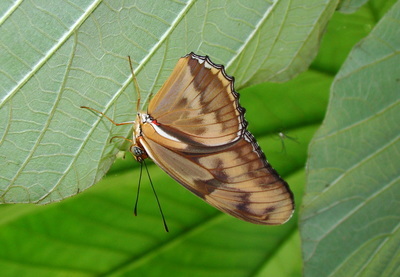 Description and Similar Species: Wingspan 70-90mm. 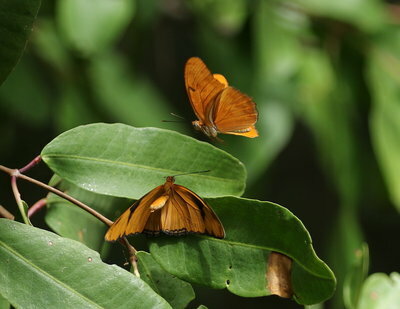 Sexes similar but females are less bright orange and have more black markings on the upperwing. 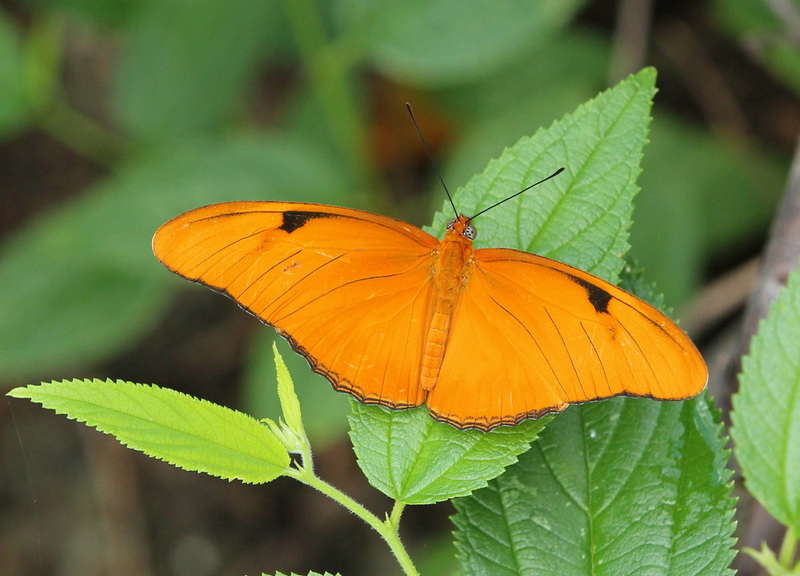 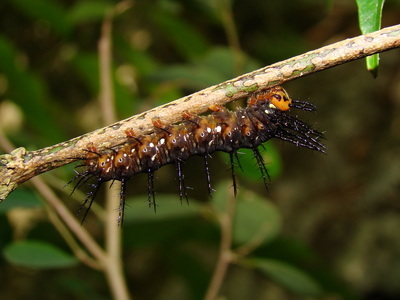 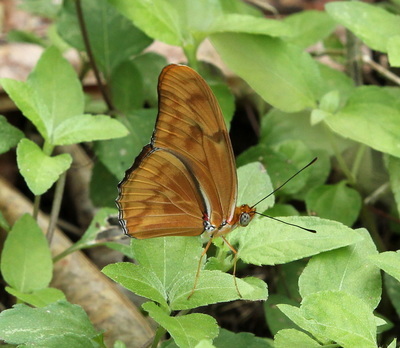 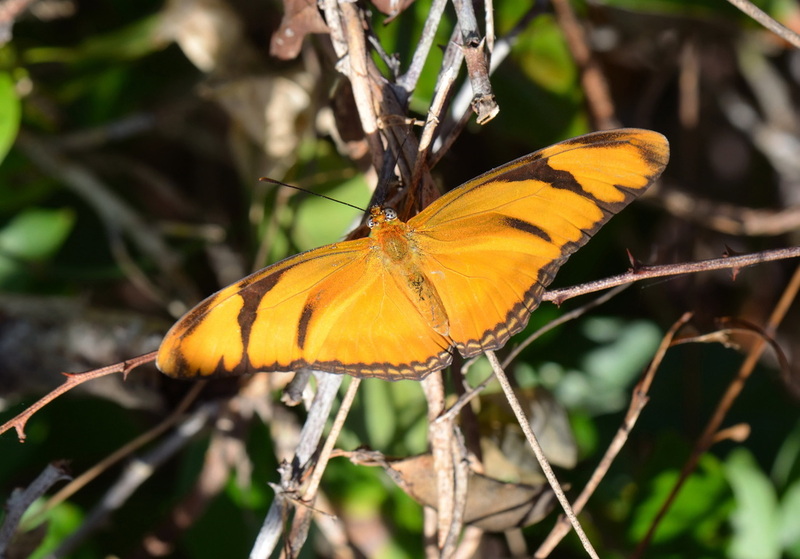 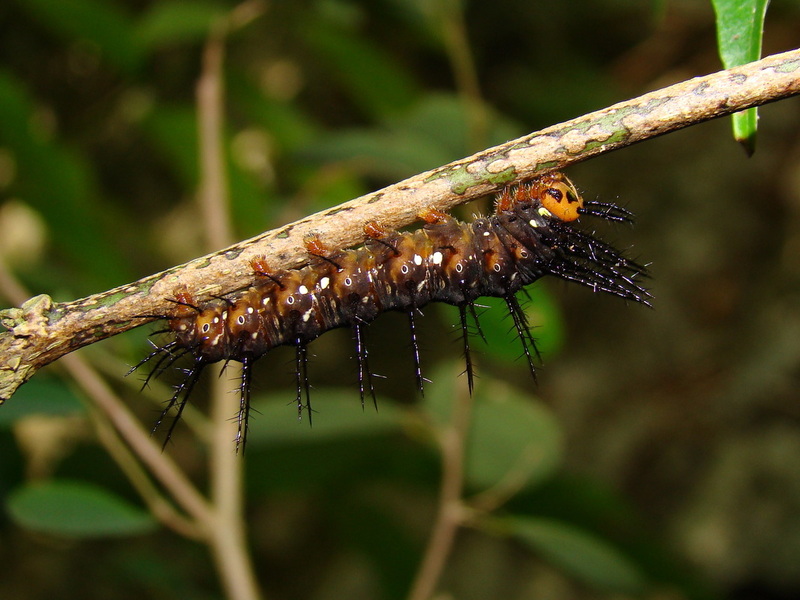 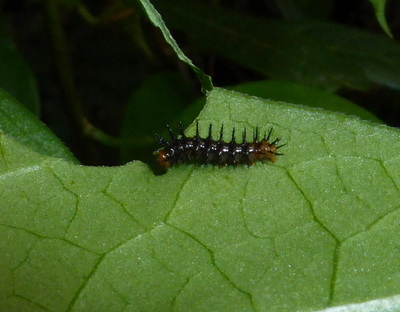 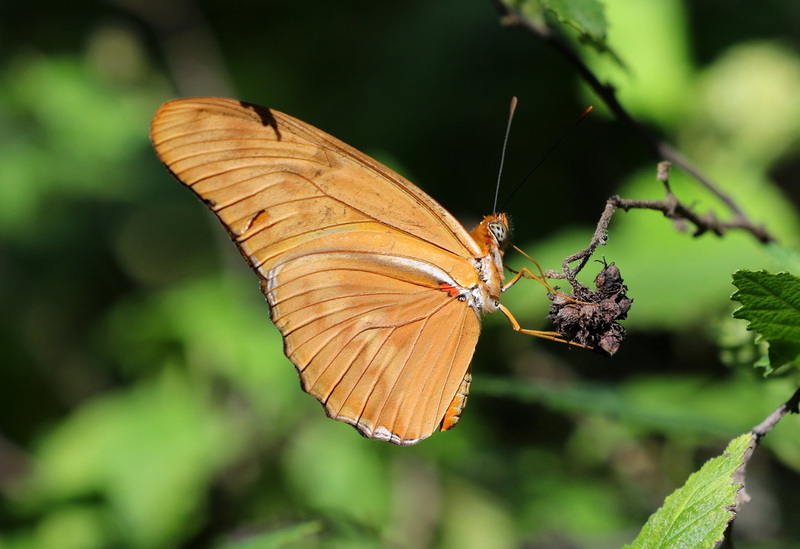 The only confusion species is the Gulf Fritillary D. vanillae but this has more black markings on the upperside and silvery-white patches on the underside. Range: Southern USA to Brazil and throughout the Caribbean. Status: The subspecies nudeola is endemic to Cuba. 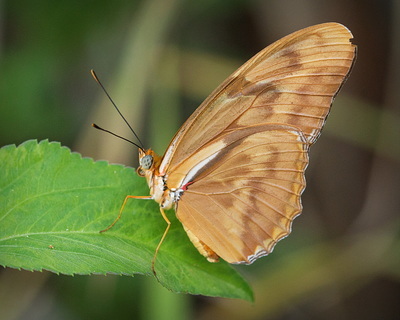 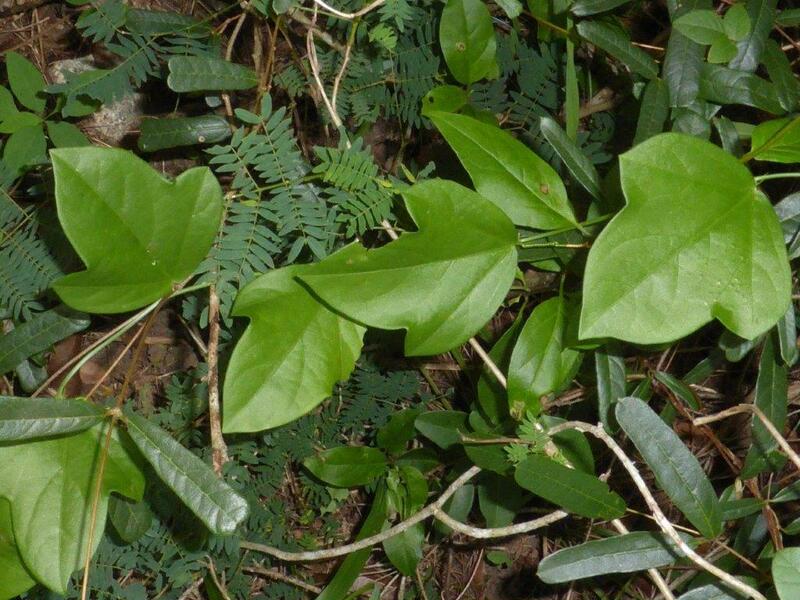 It is widespread and common throughout the island though less abundant than Gulf Fritillary D. vanillae. 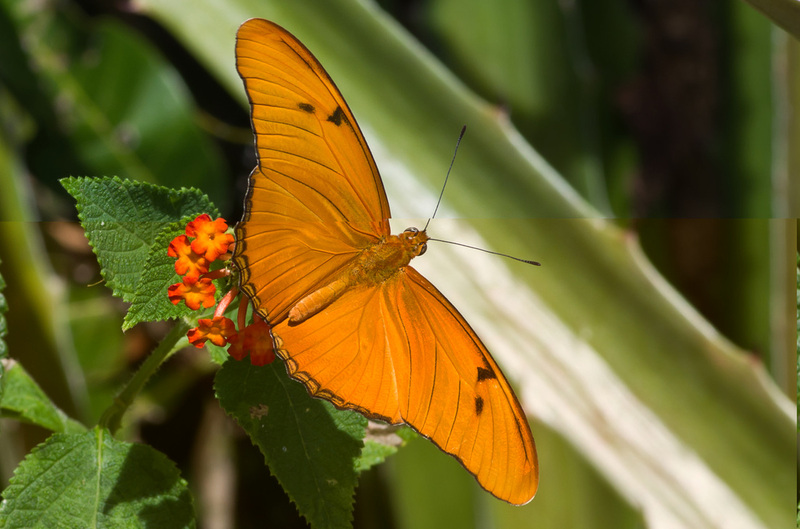 Nectar Plants: Lantana, Chromolaena odorata, Bidens pilosa and Melochia nodiflora. 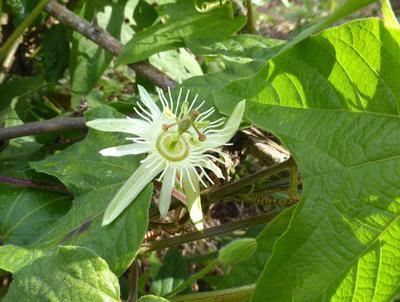 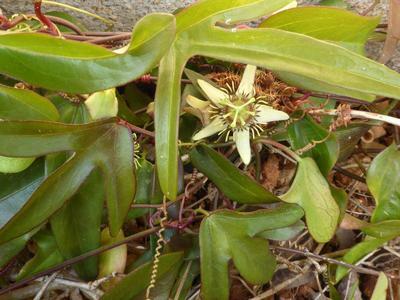 Larval Foodplants: Various members of the genus Passiflora. 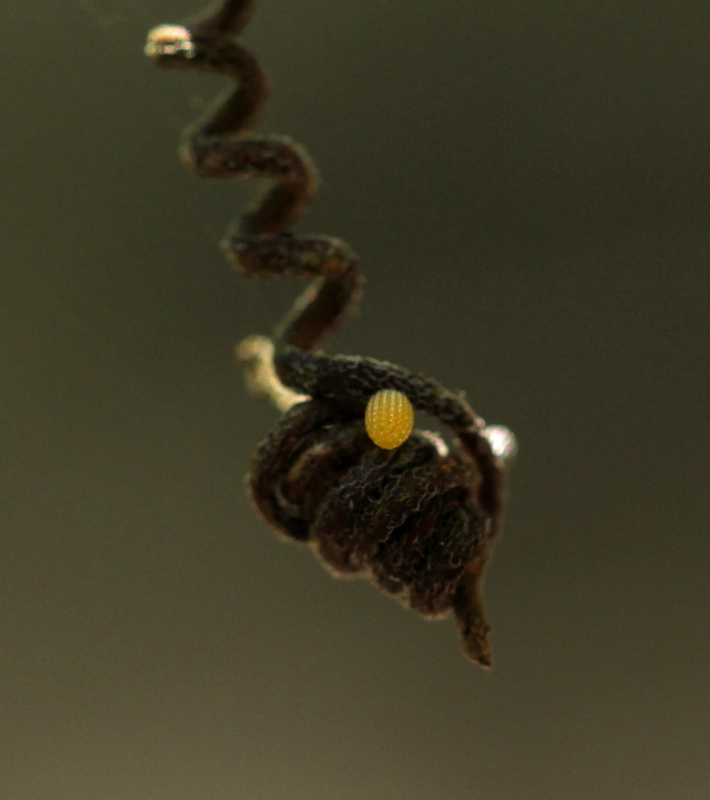 Eggs are laid not just on terminal shoots, leaves and tendrils but also on nearby twigs and other plants, usually in the shade.